Turkey Yellow Pages signed a 5 year strategic deal to supply business listing information to NAVTEQ and Nokia global mapping platforms. This is the kind of partnerships that the giant mapping provider Navteq and Nokia are looking for. In these days, the mapping technologies have reached a new level, GPS became a major component in any mobile phone, not less important than a camera. Most new cars are already equipped with in-car navigation systems. Detailed maps are now available for almost anywhere in the planet. Without a detailed map a GPS would be useless. Now this equation has totally changed, having access to hundreds of thousands of locations for hotels, restaurants, shops, gas stations, hospitals, …. definitely means much more. It means you do not need to worry any more about finding a place you want to go to.. All what you need is to decide what you want to do, and the where or how is not a problem anymore. 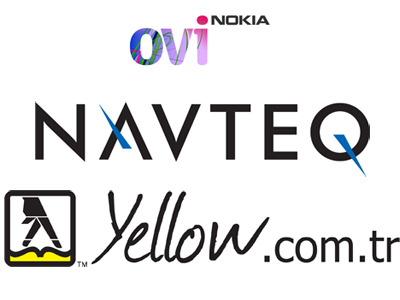 It is so exciting now that Turkey Yellow Pages data will power up Nokia OviMaps which were offered for free a few days ago. 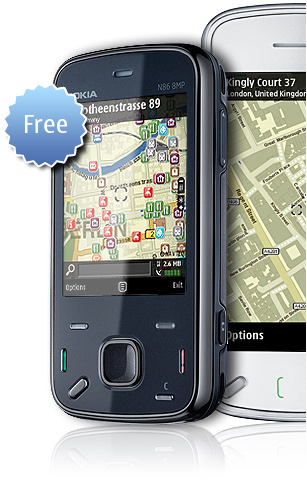 Nokia OviMaps is now one of the most convenient mobile maps that you could use, not only because it is free now, it’s technology has changed from raster images into vector maps so the application can be downloaded locally to your mobile from Ovi App Store, and it’s size is no more than 8 MB. This includes all the maps installed on your local mobile, no need to keep downloading images from the internet. Back in late 2006, when we developed our Nokia Mobile Search plug-in for Egypt, UAE and KSA Yellow Pages we were so delighted about it, it was a breakthrough for the use of the mobiles in our daily life to find a restaurant or a hotel on the move. 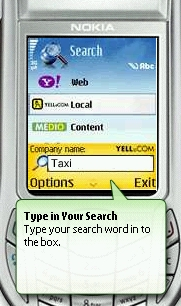 One and half years later Nokia decided to drop support for their Mobile Search applications. Their insights were toward mobile maps. Now here comes OviMaps, the new amazing free Nokia mobile mapping platform and again powered by Yellow Pages, the most trusted local search provider as always.